A small update to BlackBerry Bridge is now available. The new version sits at 2.0.0.35 and really only looks to fix one issue some users were having (although there may be other tweaks behind the scenes as well). 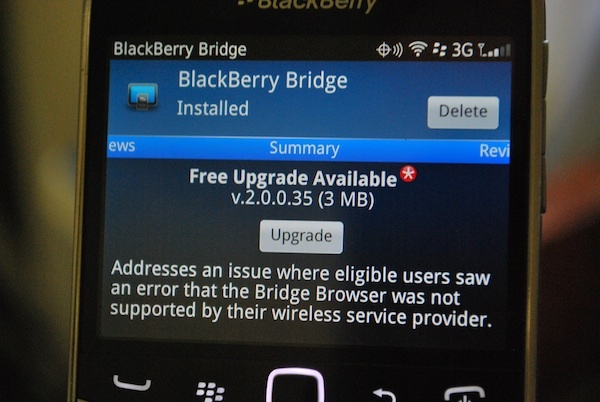 Ths fix is for users who were experiencing a BlackBerry Browser error when using Bridge. The update is showing as available in App World however some users are reporting it doesn't look like it can be installed just yet. If you do get it up and running be sure to drop a comment letting us know.